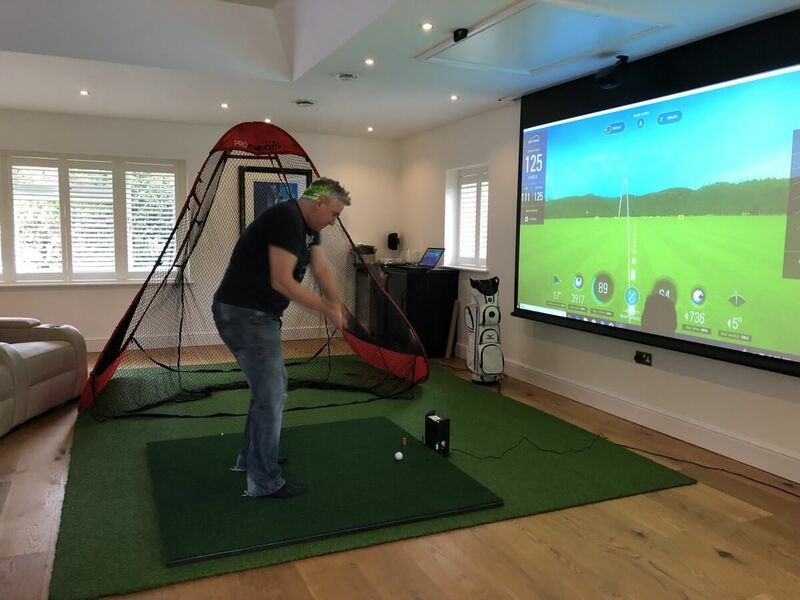 This off the shelf system allows you to get setup to hit balls quickly. Finance is available on this package. 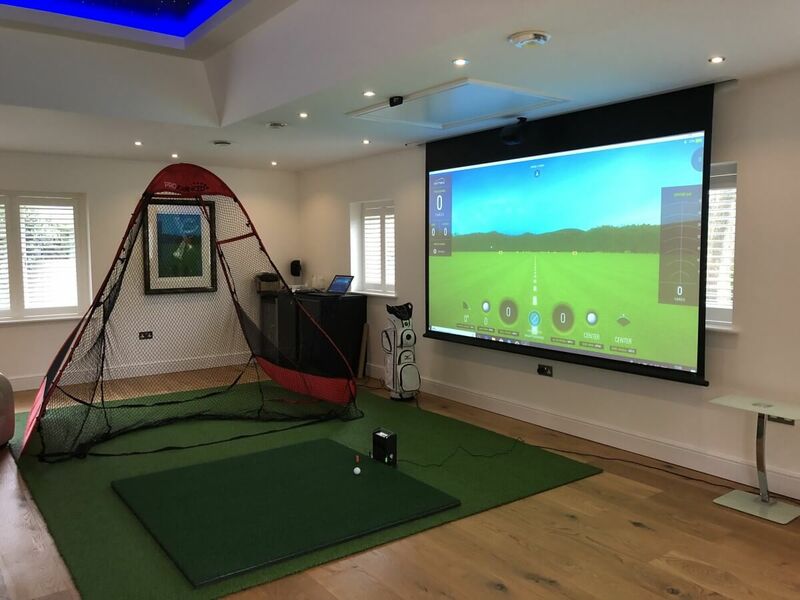 This SkyTrak Package includes the following equipment to get you up and running in whatever room you want to swing a club and practice. Roll out the turf to stop any bouncing around of the ball and put the Pro Mat down. 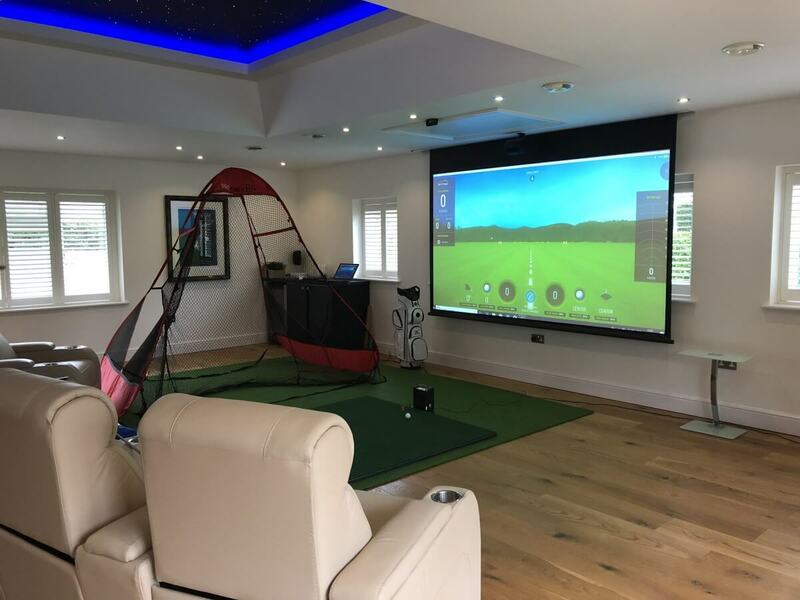 In these photos our customer had a home cinema screen which he used to see the SkyTrack program so the Pro Advanced Return Net was a great choice for him as its easy to setup and pack down.